Vehicle safety regulations exist largely to minimize the number of auto accidents and improve the efficiency at which traffic moves. Disobeying a traffic law can often put other vehicle occupants and pedestrians at risk for injury in a traffic collision. 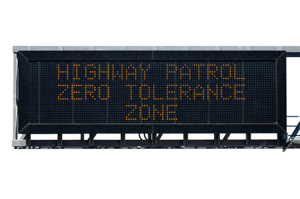 Police enforce traffic laws rigorously, and if a violation results in an accident, the driver may be responsible for injuries and damages resulting from the crash. A skilled lawyer can utilize police reports, observe damages and injuries resulting from the crash, talk to eyewitnesses and work with professionals who can reconstruct an accident to determine who is at fault and whether someone broke a law. Following too close/tailgating – Drivers must maintain a safe distance from other motorists on the road so that if one car needs to brake suddenly, the driver following behind has time to react and stop before a rear end collision occurs. These crashes can cause severe injuries, especially when the vehicles involved are traveling at high speeds. Failing to stop at a red light or stop sign – Disregarding stop signs or traffic lights can result in both serious and fatal accidents, especially when the violating vehicle strikes another car head on, or the driver or passenger’s side. Speeding – Driving faster than the posted speed limit often gives motorists less time to react to sudden obstacles, poor road conditions or other vehicles. Drivers should also adjust their speeds to compensate for poor weather conditions, such as rain or fog. Driving While Intoxicated (DWI) – Operating a vehicle while under the influence of alcohol or drugs is a serious offense, since it greatly inhibits a driver’s reaction time as well as other necessary skills that are important for safe driving. Cell phone use while driving – Many states ban drivers from texting and talking on cell phones or other mobile devices while driving. Paying attention to these devices instead of on the road can result in devastating accidents. Careless driving, reckless driving and similar offenses – Various offenses exist to penalize drivers who are inattentive or driving dangerously. The definition of these terms and what types of behavior are prohibited by law differ from state to state. However, reckless driving typically indicates a willful and wanton disregard for traffic laws and can come with severe legal punishments. Breaking the rules of the road may not only lead to criminal punishments, but also civil liability. To effectively prove whether a traffic violation led to your accident occurring, it is essential to seek out an experienced lawyer with experience investigating accidents and who can help determine the cause.